According to the recent researches, promotions are often a decisive factor that pushes your customers to make purchases they wouldn’t have made in different circumstances. In other words, many people prefer to shop only if some kind of promotion is involved. If you are wondering if there’s anything else you can do to make your web store more successful, check this list of promos that Alt-team has put together to help you gain more visitors and happy clients. The following bunch of promos has been working great for both brick-and-mortar and web stores for many years and still is the most common and popular. One of the most effective sales-triggers is to create a sense of urgency. That’s why your promo-campaigns should be a limited-time offers and have an expirational date. There’s no better time to start a sale than a holiday season as people spend thousands of dollars on gifts and themed merchandise. Do not forget to post anything holiday-related, design some nice unique banners and renew your product images to bring some holiday spirit to your customers. If you are looking for add-ons that may help you with this, have a look at the Multiple Deals Plus. This type of promo is a great way to promote your brand especially if you have lots of competitors in your domain. Customers are safe to shop with you as they have nothing to lose, the price difference will be refunded if they can find a better deal. Such promotions are mostly used by big retailers, but why not try it anyway? Since social networks have become a large part of our lives you cannot afford to ignore the possibilities they offer. It’s essential to make an easy way for your customers to share your products and promotions. You can even offer some basic rewards for those who actively share it and invite their friends. Thus you get more organic reach and may go viral. Check if you have profiles on all 5 major networks—Facebook, Twitter, Instagram, Pinterest, and Google +. A well-developed Instagram profile may benefit your business greatly as it gives brands 25% more engagement than any other social platform. The key points to promote your products—right hashtags, user-generated photos, contests, or competitions. What is great about competitions is that you only have to give away one prize but get so much more attention to your brand and a social channel. Check our offers for social add-ons:Social networks auto-post and Social Feeds. User-generated photos and real comments/reviews left in the social networks are great to show your social proof. Future customers can see that your products are regularly purchased and appreciated by other people just like them. This social proof can be added to your newsletter e-mails to motivate your subscribers. Speaking about e-mail, it’s still one of the most powerful methods to get attention to your message. Everybody loves to feel he’s special. So why not design your e-mail offering a special discount for a recepients? Just make an appropriate e-mail name, for example “A secret sale just for you”, mark the ending date and put a coupon code. Need the process automated? 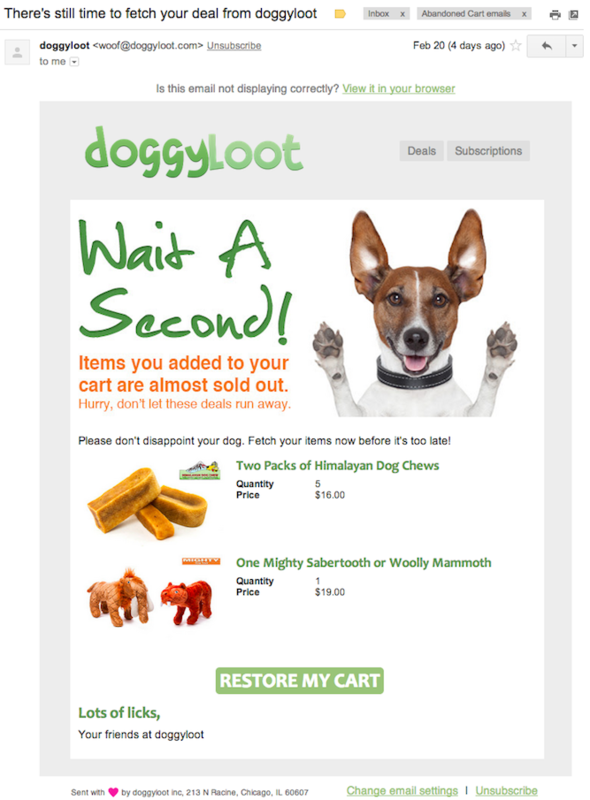 Check our Abandoned Cart E-mail Reminder. Another way to promote your products is to highlight some useful tips on how to use them in the most efficient and pleasant manner. The educational content may be put in a blog post or a first subscriber e-mail or even in a “Welcome” pop-up that appears on the website when a user firstly enters. Such practice helps to sell not only products but also website experience and allows to develop a community. Who doesn’t love free stuff? So giving your customers an opportunity to test your products or free samples may entice them to buy it. If you cannot afford giving your products away you may be interested in creating some branded gifts that can be acquired in competitions or given to some sort of privileged customers or just offered with each purchase. So that customers will think of you every time they see your branded gift. Promotions and discounts are very important for an e-commerce business and we hope you could add something new to your promotion strategy or view it from a different angle. Thanks for your time and all the best in the New Year of 2016!